Many people use their cell phone to browse the web - and your business needs a proper mobile-ready site for all those potential customers. inMerida.com Mobile Sites are designed for phones, and even come with your own special QR Code to help you advertise them. 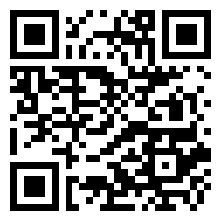 We send you a QRC for your door / window for advertising your mobile site. Integrates completely with inMerida mobile and inMerida apps. This means built-in Marketing. Premier listing upgrade on inMerida.com = more visibility on our system.